SolaraGuy.com • View topic - Email notifications down. The forum will not be sending out notices for PMs, thread watches, etc. for the near term. We'll get this corrected soon, but we had to shut off the service due to hackers pushing spam mail through our server causing system slowness and a few crashes when we ran out of disk space. We'll start things up again once proper protections are in place to block outside mail connections. "We need failures in this world... failures gives us lap dances and chicken nuggets and I like both." i got hit. couldnt access one of my e-mail accounts due to spam. still cant as of this writing. '05 Lunar Mist SE: 2AZ-FE, E351 and all their combined glory! Not to worry, it wasn't spamming our members. It was using our server time and space to mail out the spam so it doesn't trace back to them. We only have one active email account on this server and it's for the forum to send out notices. Those "solaraguy.com" email addresses are actually provided by another service not related to our server or this hack. Looks like OGs wont able to get updates anymore. Down2TheC, does this effect any people who tries to join the forums??? Got some people on the SG FB page trying to joined but no email conformation. Yup. They need the confirmation email so they can activate the account. Guess I should cruise over to that FB page and gather account names to activate manually. Thanks for the note. 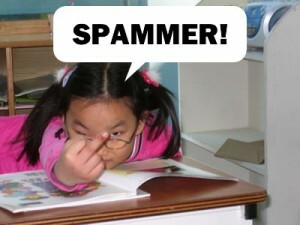 DSM_Lara wrote: Down2TheC, does this effect any people who tries to join the forums??? Got some people on the SG FB page trying to joined but no email conformation. I've activated all user accounts since the email outage so they can sign in at will. Tell the folks on FB please. Bdub215 wrote: i got hit. couldnt access one of my e-mail accounts due to spam. still cant as of this writing. Cant access it as in your password has been changed or cant access it because the company said it has been used for spam so they are blocking access to it. If the first try typing in your email at the login and hitting "i forgot my passwor" this will let you reset it, if its the company block thing usually you can email their customer service and tell them you got hacked and didnt even know it and if they open it back up to you you promise to use a stronger password that wont be so easily targeted, it worked for a yahoo account of mine at least. I changed my email address for the account I use (99TRDLBGP#6of35) and now I can't access it because I didn't get the activation e-mail. So, I had to sign in using an old username I don't use. Please help! I tried sending a PM to the admin, but the message just sits in my Outbox, never going to my sent folder (I don't think it's sending). Working w/ provider... stand by please. Had some emails in my inbox and didn't even know it. "Every passing minute is another chance to turn it all around."